Magnificent! 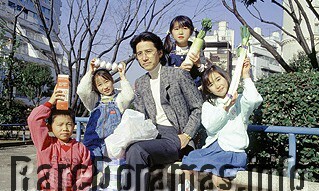 I saw a few episodes of "Papa wa Nenjuu Kurou Suru" when I lived in Japan in the 80s. I thought it was wonderful. For fifteen years, I have been looking for it online. Thank you for sharing it. I've found this series for 10 years, thank you so much! Tamura Masakazu played a 'Papa' quite often. Great style of acting btw. Too bad it's LQ. But huge thanks. I've been trying to get hold of this drama for years.